Photo: Entering the Texas Blueberry Festival Ford F1 truck in Nacogdoches parades won the "Best New Promotion Activity" Award of Excellence from Texas Festivals & Events Association. 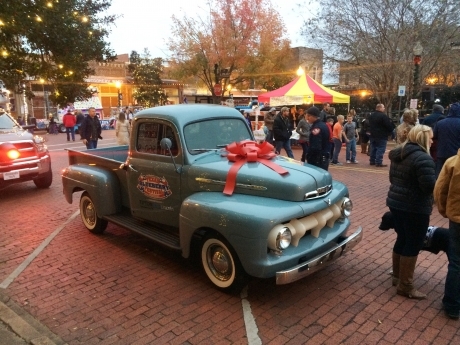 Pictured is the blueberry truck at the 2016 Christmas Parade. Attendees of the Nine Flags Festival Christmas Parade on Dec. 2 can look forward to seeing the truck again. The Nacogdoches County Chamber of Commerce was recognized by the Texas Festival and Events Association with several event and festival awards. The Texas Festivals and Events Association is the professional trade association for Texas-based festival and events planners, volunteers and suppliers. The Nacogdoches County Chamber of Commerce is the largest business association serving Nacogdoches County.